Sammy and his husband, Matthew are in the process of moving their careers and lives from New Jersey to California! This has been underway for months now. has always made time to pursue his passion for photography. In 2013, his hobby grew to a full-time business that revolved around his 9-5 during the week and shooting evenings and weekends. After attending a photography school for 2 years he focused over 6 months just in editing to build his expertise in PhotoShop. Sammy has invested into extensive trainings with the best of the best in the world to continue his education. 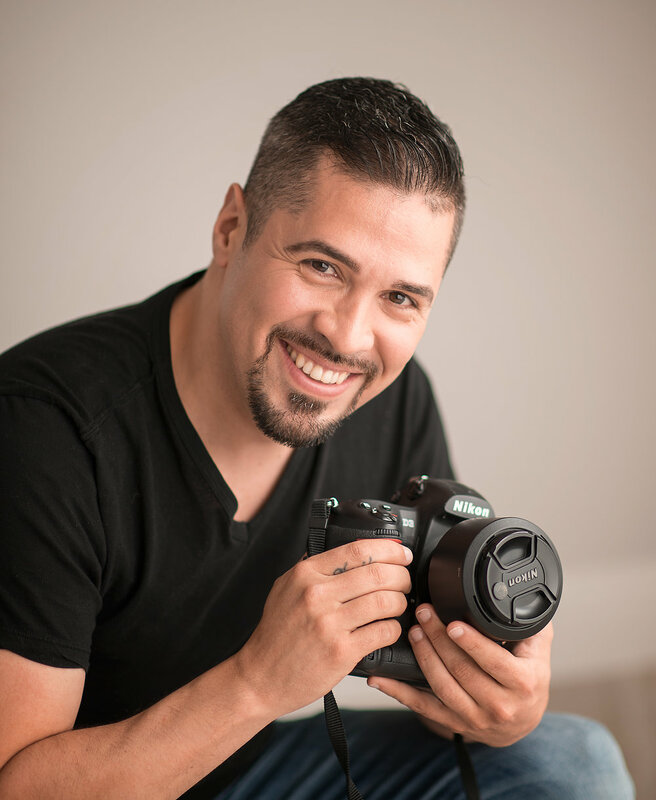 In addition to attending multiple international trainings, workshops, and conventions he was invited to instruct at our own, Inspire Me Beautiful workshop and next year he will be assisting Karen at the 2019 PPI convention that hosts the most experienced and elite photographers in the world!